This trip was to be a culinary adventure to delight the senses and the palate! On the itinerary: Artisanal cheeses and breads, organic produce, French patisseries, gourmet pizzas, boutique wineries, cooking workshops and more. Surprisingly, my destination is not Tuscany or Provence, but Israel, which provides flavors and experience that are as delicious and authentic as the more famous destinations. Every visit to Israel I am delighted by the culinary variety offered wherever I travel. This fall, during my latest visit, I am nibbling my way through the country, focusing on artisanal producers. I know, tough job, right? 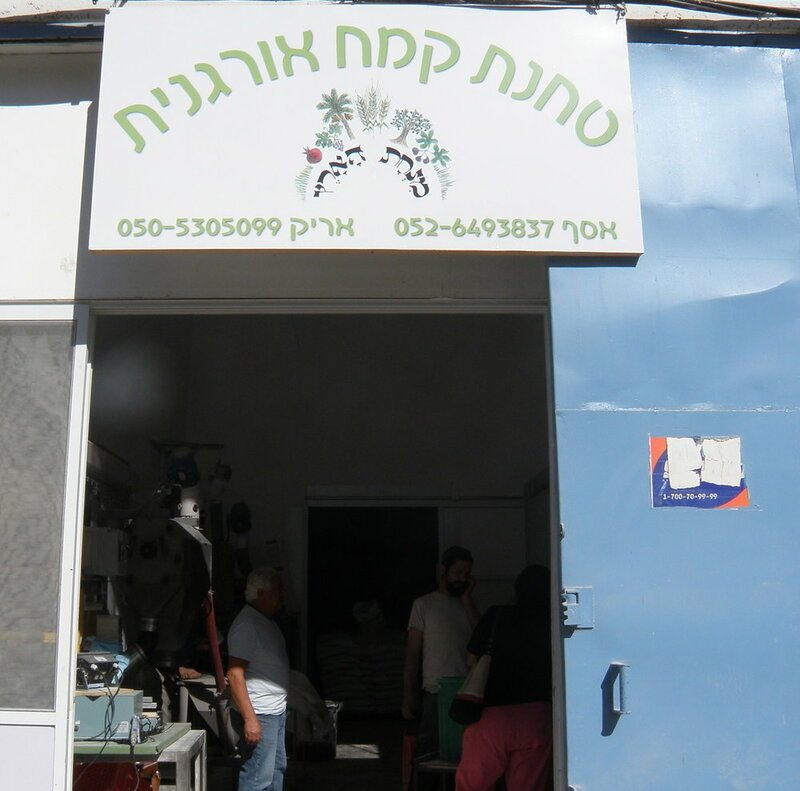 On a sunny, warm day, my parents and I set out to find Minhat Ha’aretz; an artisanal flour mill owned by the Nov brothers. Hidden within the dusty and noisy Hadera industrial park, the entrance to the mill is easy to overlook. A narrow door, topped by a modest sign opens into a narrow and long space, where the aroma of fresh wheat is dominant and a film of flour covers all. Roee Nov, one of the brothers, welcomed us with a shy smile, adjusting the kippah on his head. He explained that the 3 brothers, who became orthodox through their own individual journey, share a love of the land of Israel and its produce, as well as a commitment to organic products. 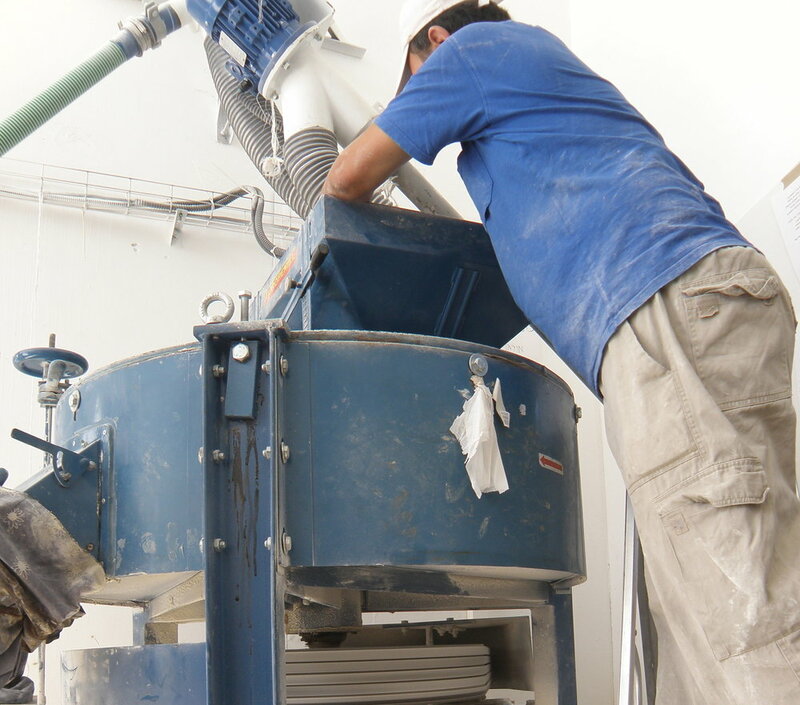 The mill offers other types of flour as well: millet, oat, quinoa, corn, chic peas, rice,spelt and more. My mother, the avid baker, carefully watched the process and together, we agreed to purchase some whole wheat and spelt flour. We were already dreaming of the loaves we would bake. Hearing our conversation, Roee wondered if we would like to taste Yemenite flat bread that his wife had prepared: Le’houh. My mother, who was very skeptical of anyone who is NOT Yemenite making descent Yemenite food, had to consent that indeed it was delicious. “Must be the quality of the wheat…” she relented. We headed home filled with a sense of wonder and appreciation of the simplicity, labor and dedication, which the Nov brothers devote to their enterprise. Needless to say, the loaves my mother and I made were astoundingly delicious, the grain’s freshness shining through. 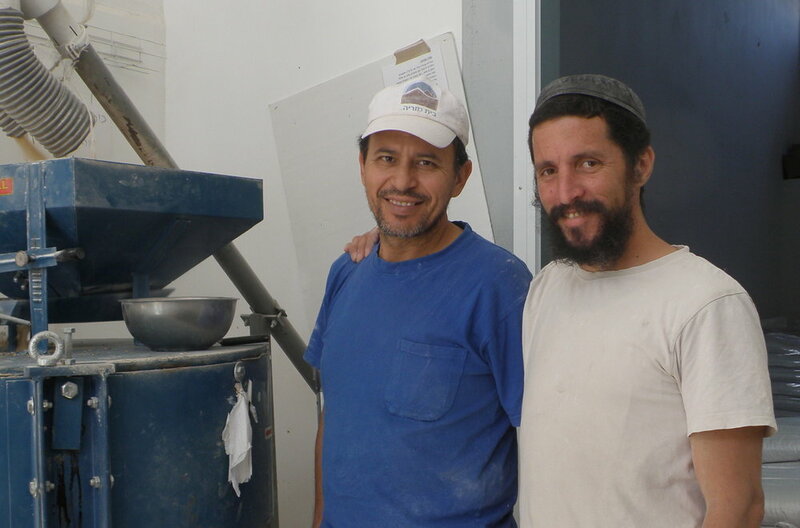 The commitment to fresh Israeli wheat, simple process and direct distribution, were all a great example of the type of Israeli food production I was seeking. What’s next? Spices, spices! Ground toasted and mixed at my cousin’s Rami’s spice shop.